Everlane has been a brand I've backed for years. I'm a fan of the modern twist they apply to classic basics, and often find myself keenly awaiting their new releases. 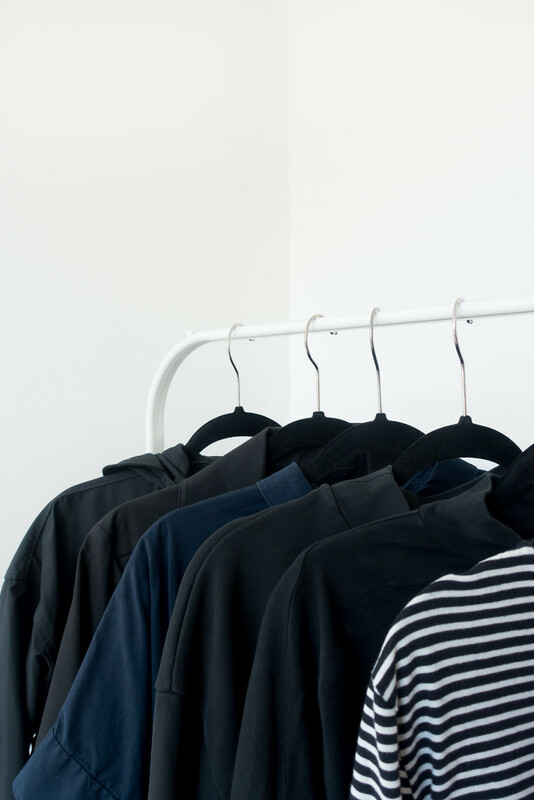 I have slowly filled my wardrobe with quite a few pieces of Everlane's clothing, from basics tees to outerwear. I was fortunate enough to be sent a few gifted items when I worked with Everlane a couple of years ago so I got to test out their range before the brand was available to international customers - which they are now! - and I've been raving about them ever since. 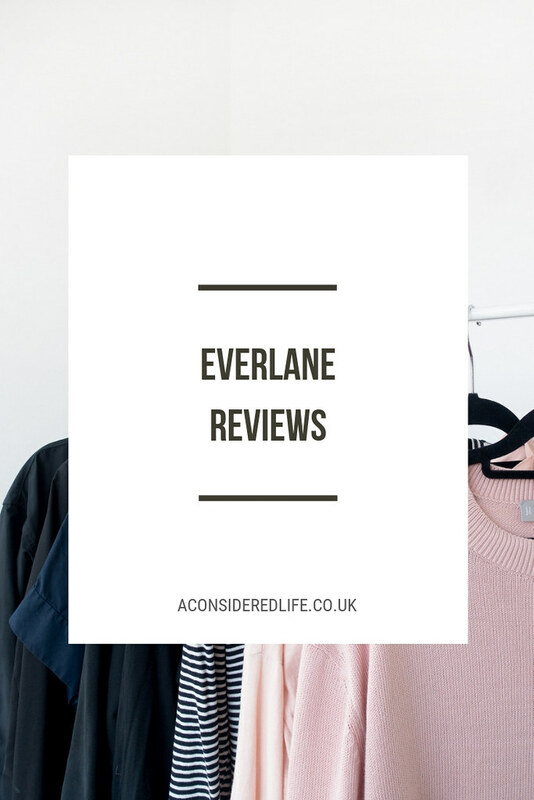 Everlane now permanently ships to the UK, what better time to share my thoughts on the brand and their clothing? I'll be reviewing all the Everlane clothing I own (and have owned), what the deal with sizing is, how the clothes wear over time, and if customs charges really are as big of a problem as they seem. The quality of Everlane's clothing has definitely improved over the past few years. There is a significant difference between the pieces I ordered a couple of years ago compared to the pieces I've ordered in recent months. The only real issues I've had with quality, has been with the older designs that Everlane no longer sell; all my recent purchases has been great. 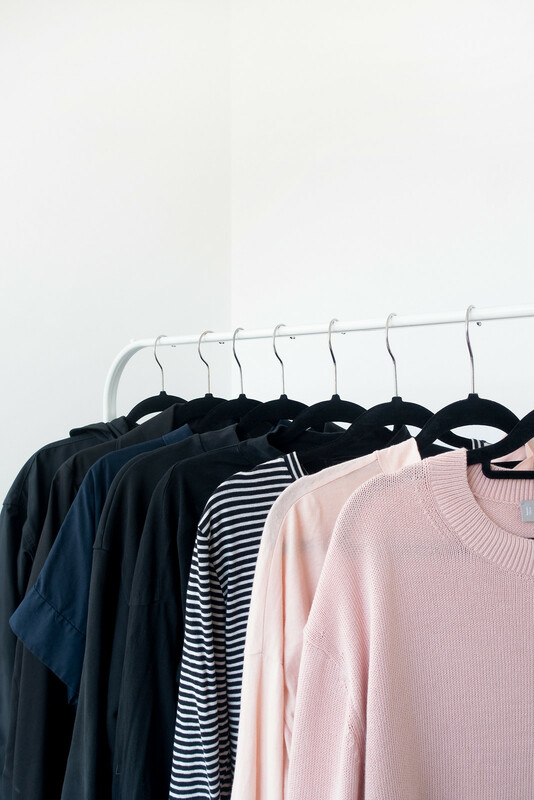 All of the cotton clothing I own is super soft and durable although Everlane does use a range of fabrics so not all pieces look or feel the same, which is reflected in the price. I find Everlane's black clothing often has a faded appearance, ranging from a washed out look to slightly off-black; only the coats and jackets appear to be true black. The colour does fade just a little over time, particularly with the black pieces, despite being washed on a gentle cycle in cold water. For someone who has a mostly black wardrobe, this is a huge disappointment. Overall, I think Everlane's quality is pretty good and spot on for the price. I'm happy to recommend Everlane as an option for anyone looking for mid-range fashion with a good choice of quality basics. Everlane tends to run a little large; it's only after a few hit and miss orders that I've realised that. It's something that's frustrating and can be an expensive mistake to make if you're ordering internationally. I would recommend sizing down or else expect Everlane's clothing to fit a little looser on you, if you order your usual size. I don't think the descriptions of each item are very reliable. Everlane's description of a regular or relaxed fit varies wildly from piece to piece so you're never entirely sure whether something will be super fitted or extra baggy. It's only over time that I've figured out what size to order for the fit I like, and I'm still questioning my choice right up until the order arrives. When I have ordered in the correct size, I've been incredibly happy with my purchases overall. The Everlane pieces I love the most - the City Anorak, Square Shirt Dress, Mockneck Tees, and Long-Sleeve Crew - are staple pieces in my wardrobe I reach for time and time again. They fit perfectly, look good on, and age well. Everlane's tagline is 'Exceptional quality. Ethical factories. Radical transparency.' Since they launched, Everlane have placed importance on working with "the best factories" to design and make high quality basics. Underneath every product they sell, they reveal "the true cost" of how much it costs to make the item, compare it to traditional retail prices, and then show Everlane's price - minus the huge markups. We'd be naive if we didn't acknowledge that Everlane's "honest approach" has a lot to do with clever marketing. 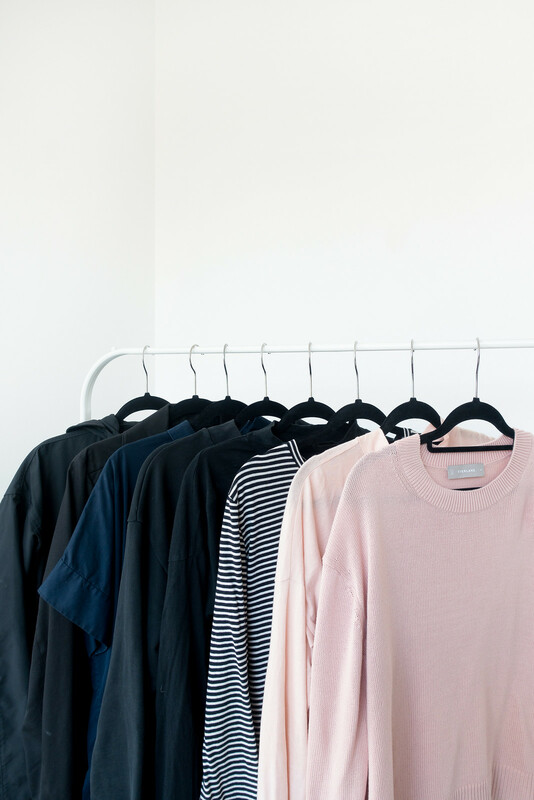 At a time when sustainable fashion was becoming increasingly popular and consumers were looking for affordable high quality clothing, Everlane cornered the market with their radically transparent approach; it was refreshing to see costs broken down like this. Everlane are not without their faults, however; they could provide more information about the factories they use, they should be using diverse models, and their marketing could be more inclusive. These issues are improving though and I envision Everlane becoming more committed to the sustainability movement as more and more brands, like Girlfriend Collective, dominate social media and capture the attention of fashion bloggers. Everlane was and still is a brand offering sustainably-made, quality clothing at reasonable prices. They might not be perfect but they're doing a whole lot more than most fashion brands, and for that I think they should be praised. I don't usually talk about delivery or custom charges when reviewing brands but whenever I talk about ordering from Everlane, I'm always asked about shipping and fees. Everlane shows you the duties and taxes for your order at checkout; you used to be able to choose whether to pay these upfront or take the risk and not pay until you receive a customs notice. I believe now you have to pay them as part of your order. The good thing is, these duties and taxes appear to be cheaper than if you waited to pay for them as Royal Mail adds a handling charge, which bumps up the cost. For a $50 order, you pay $13 duties and taxes (for UK delivery). Your order will be delivered straight to your door, just like any other delivery, and there isn't any anxious waiting around for your items to clear customs. Standard shipping is $15 and takes 7-14 working days or $75 for Express Shipping, which takes 3-5 working days. I have had one order go missing, never to arrive, and Everlane immediately dispatched a new order via Express Shipping as soon as I emailed them. I can't fault Everlane's customer service; their entire ordering process is smooth and faultless. I've been a huge fan of Everlane for a few years now. They lost my attention a little bit as they ramped up how many items they discontinued and furiously added more items to the Choose What You Pay sale on a seasonal basis. These two things combined - regular sales and frequently discontinued products - makes Everlane fall more inline with traditional fashion brands, except with a more transparent supply chain. While I understand the need to update and perfect cuts, styles, and materials used for making clothing items; I do find the rapid acceleration of this process surprising. 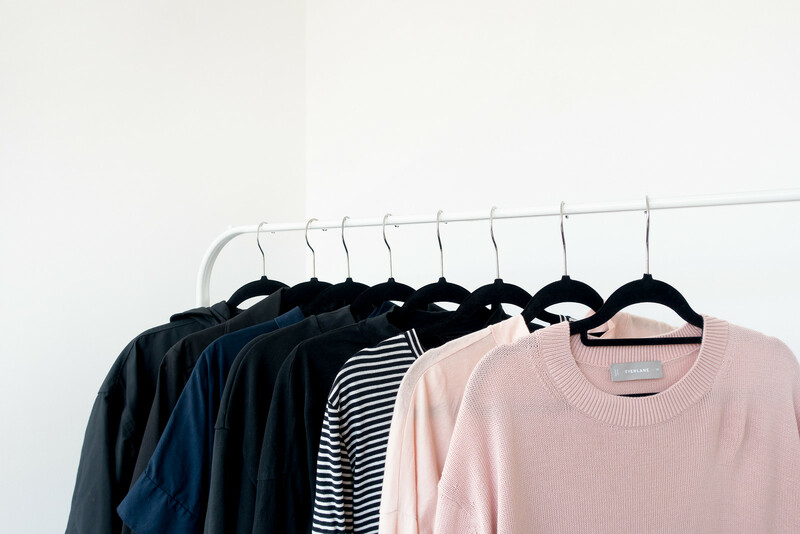 Everlane have also more recently started to produce more clothes made from cashmere and wool. I'd prefer if they'd focus on their cotton and linen range, and introduce a range of non-leather footwear. However, I do enjoy the crisp, minimal basics they produce with the modern edge they give them. Thanks to the cut of the clothing, even if you do order a size too big, they can be styled out to look just fine. There are very few sustainable brands, especially in the UK, offering this style of clothing. While everything might not be to my taste, their range embodies the 'normcore' fashion and the basics of a millenial wardrobe. Understandably, Everlane isn't for everyone. The guesswork required for picking the correct size makes the brand inaccessible to international customers who don't want to risk ordering the item and having to return at their own expense. I'm glad, at least, Everlane has finally started shipping to the UK permanently, which has removed on of the biggest frustrations I've had with the brand over the past few years. Everlane's one of those brands I think I'll always keep my eye on to see what they're launching next. I'll continue to recommend them to people who want high quality basics, made sustainability and priced fairly. This was the first top I ordered from Everlane and I chose a size M as I was unsure of the fit; it ended up being rather baggy on me, and more loose-fitting than I was expecting. It's fine, it just fits larger than I'd prefer. You can see from the photographs how much the long-sleeves bunch up on the model but I've found rolling them up hides how oversized the top appears on me. The 100% cotton fabric is soft with a nice weight to it, which has softened over time. The stripes are thin and equal in width, which I find more flattering than typical breton tees. I've found the stripes have 'blurred' a little after quite a few washes but not so much that it looks terrible. Overall it's a solid basic striped top and if Everlane bring them back next year, I wouldn't hesitate to recommend them. I love these tees. If I were to order again, I'd order in an XS. The square shape and wide neck makes them a little too big for me as is; I wear them knotted at the front with the sleeves rolled up, which adjusts the size to suit me more. They're made from 100% cotton making them super comfortable and easy to wear. I'd prefer if the "true black" tee was actually true black since it has more of a washed appearance, but I love the light peachy-pink shade. Overall, they're pretty good tees in an interesting cut, available in a nice range of colours. A classic black tee made from 100% cotton with pocket detail and crew neck. I sized up for a slightly looser fit, which makes this black tee a staple wardrobe piece. I'm not usually a t-shirt wearer but it's great having such a versatile piece in my wardrobe. I've used it to layer up on cooler days and for pairing with skirts in the summer heat. It's made from slightly thicker cotton than the mockneck tees, which gives it a little more structure. I like the shorter length, which suits my shape better; I tend to find most tees are a little too long for me so this is perfect as it sits just above the hip. I've found the cotton gets softer over time with each wear so that it's now super soft and comfortable. The Everlane box-cut tees are an excellent choice if you need to stock your wardrobe with quality basics. This is very similar in quality and style to the box-cut pocket tee with slightly thinner fabric; somewhere inbetween the mockneck tees and the pocket tees. Rather than being true black, like with most Everlane tops, the fabric has a washed appearance, even moreso with this tee. I purchased this to support Everlane's campaign to raise money for ACLU and the XL was the only size available. It already has a relaxed fit so the XL is rather oversized on me. I wear it as part of my loungewear and it's a lovely, super soft and comfortable tee to wear around the house. This jumper is a smart-looking yet casual option. It has a loose, relaxed fit that makes it ideal for throwing on over any outfit. The XS fits perfectly on my arms with a little extra room in the body without appearing too oversized. I'm curious to see how this piece holds its shape after a few wear cycles. The cotton is thick and soft with a lovely texture and gorgeous pale pink hue, which is very flattering even on pale skin tones. The jumper feels comfortable on and looks smart; it's a great staple piece for your wardrobe. I've only had this item for a few weeks so I'll update on how the jumper ages. Listed as having a 'relaxed fit', it surprised me that this sweatshirt came up small and had a more fitted look. It was an awkward length and narrow fit on me, making it a piece I didn't enjoy wearing. The fabric was super soft cotton, which made it an ideal classic sweatshirt for cooler weather. It had a versatile style that could be worn both as a casual piece as well as something a little more formal. A great piece, just not for me. Everlane currently has a Slim Classic French Terry Crew that appears to have replaced the old Crew Sweatshirt, if you're looking for something similar for your wardrobe. This has a 'relaxed' fit and while I expected it to be slouchy, I didn't expected it to be so excessively oversized. I needed to have ordered this in an XS or even as XXS for a comfortable fit. The cut is boxy and cropped, which I like, but in such an oversized style it makes outfits look bulky. This sweatshirt has a much more washed black look than pictured in the listing online, and has faded even more over time despite being washed mostly in cold water. I've noticed the material tends to hold marks, even from things like water, which can be a real pain to wash out. I've demoted the mockneck sweatshirt to my loungewear and travel capsule as it's just too big and faded for me to wear it confidently as part of my main wardrobe. As a comfy sweater to throw on around the house and when travelling, it's handy to have. The Mockneck Sweatshirt is still available online, just take into consideration the fit is very relaxed if you place an order. This dress has quite a unique style that every time I wear it I receive compliments. It's a shade or two lighter than the blue pictured online but I don't mind that. The fit is relaxed and boxy yet has structure thanks to the darts. I ordered a size 8 (UK 12) and should have ordered in a size down but due to the relaxed style it doesn't feel or even look too big. I love the structured cotton poplin fabric that helps give the dress a less casual, more put-together appearance. I did have a problem with a seam under the arm coming apart and when I checked the reviews, I noticed I wasn't the only one. I repaired the damage and never had the issue again. A similar-ish alternative would be the Collarless Belted Shirt Dress or look out for the range of shirt dresses Everlane launches around summer time every year. I purposefully ordered this tank dress in a larger size with the idea of wearing it as a floaty, lightweight dress on super hot days. Disappointingly the material is very thin and clingy; even though it's a larger size than I would typically order, it doesn't drape at all and instead just clings to your body. I now wear this tank dress as a slip underneath outfits for extra warmth, and that works for me. The Japanese GoWeave Cocoon Dress might have been a higher quality and more versatile option. This was a secondhand purchase from an online consignment store. I found a couple of issues with the dress; it arrived with a little patch of wear on the neckline, showing how fragile the silk was, and after two washes the entire dress became rough to the touch and the fabric was distorted. I only got maybe a couple of wears out of it before it had to be disposed of. Obviously I wouldn't recommend purchasing silk new but even if you found clothes secondhand I would suggest steering clear of Everlane's silk items, they don't age well. I've replaced this item in my wardrobe with a classic strapless dress from Tonle, which I like much more. This was a bad purchase for me. The shape, length, and material were all wrong. It was heavy and far too long. I didn't think much of the quality since the material was scratchy and uncomfortable, making it unbearable to wear. A better option might be the Cotton Pocket Shirt Dress, made from 100% cotton. This is one of my favourite Everlane pieces and I've gotten so much wear out of it. It's lightweight and water-resistant with both a zip closure as well as snaps, and adjustable drawcords. On me, it has a longline fit (below my knees), which means when it's raining my body is fully covered. The hood has a section that can be folded down for extra coverage in heavy rain. The style is simple and classic, making it look pretty smart no matter what you're wearing. This has meant I've gotten far more wear out of it than I would with a typical anorak because I don't hesitate to throw it on over an evening outfit when the weather outside is awful. The only negative is it's 100% polyester but you'd struggle to find an anorak made out of anything else. I hunted high and low for an affordable anorak and this was the only one that ticked all the boxes, for me. This is a great jacket for in-between seasons, when the weather is a little unpredictable and you need an extra layer. It's fully lined, making it warm despite having a cropped fit. The size S fits me perfectly, hitting just above the hip. I love the double-breasted button-up with clasps on the collar to keep it in place. The trench has a structured style that makes it appear much more put-together than a typical trench jacket. My only criticism is the fabric marks easily and can't be machine washed; it doesn't have a hood either, which means I often opt to wear my City Anorak instead, which is more durable and offers better coverage. Everlane have just launched a classic Mac Coat, they also have a cropped version of the City Anorak, and a Modern Utility Jacket if you're looking for something closer to the Swing Trench. I won these after being tagged in an Instagram giveaway. I wore them once and felt weird about it so I'm unsure whether I'll keep them. What I do like about the shoes is the clean design without any texture; they're super smart and a great alternative to heels. The shoes have a narrow fit with a tapered toe and slight heel, making them a good fit for me, however, they do require breaking in and are painful to wear especially on the heel. If you're looking for a pair of smart shoes, I highly recommend Matt & Nat's footwear range or Wills Vegan Shoes. The two Everlane bags I own, I was gifted. I didn't check the product descriptions and overlooked that they had leather elements, something I'm still annoyed at myself about. I didn't send them back because I felt that did more environmental damage than keeping them (and no doubt being sent another item in return). Regardless of that, I like these bags; I use them a lot. The Twill Zip Tote is made of 100% cotton with a zip-top closure, meaning you can protect your bag from wandering hands. I always feel safer with a tote bag that fully zips up. It has lots of space for all your essentials with an interior pocket for your wallet and keys, making it a great everyday bag. It's versatile and sturdy - perfect for taking it to work, on day trips, or grocery shopping; it's as smart as it is functional. The Modern Snap Backpack has a lovely clean modern look. It's not too bulky, like most backpacks, and it can hold plenty (around 19L); I use it as my carry-on luggage. It has plenty of compartments: two side pockets, a zipped pouch on the front, and an interior padded laptop compartment. The exterior is made of a water-resistant cotton twill and has a drawstring closure with poppers. It's a comfortable backpack to wear even when packed with everything you need for a week's holiday. My only criticism is the leather detailing, and the drawstring is less practical than a zipper. What are your thoughts on Everlane? Do you have any questions about fit, style, or quality?